For some it is the prodigious age of the tree – growing to well over 2,000 years. For some it is the beautiful and rugged river valleys of Western Tasmania that provide security and sanctuary to a resource that might otherwise have been plundered unconscionably. For some, it is the stories of adventure and resourcefulness that characterised the men who worked in the impenetrable temperate rainforests to extract the timber, creating a simple name for themselves – ‘piners’ – and an enduring legend. But you don’t need to know anything about the tree to nevertheless value the golden, glowing timber that it produces. 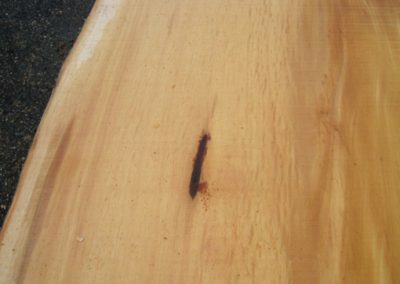 Huon pine is still regarded as the best boat building timber in the world: suffused with methyl eugenol, it resists the marine borer which infests all other wooden boats, shortens their lives and causes major frustration to seafarers. Further than that, though, it has exceptional strength for its weight, and can be bent and moulded to great angles. It is light – at just 520kg/m3 – and extraordinarily stable, and was the primary timber used by pattern and model makers. 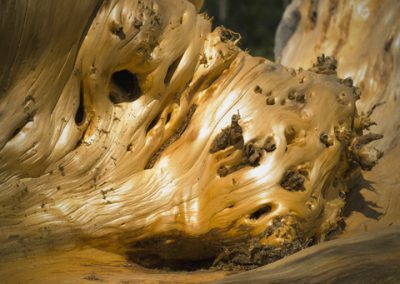 While that industry has been replaced by computers, sculptors and artists have taken over, and use every piece of Huon pine they can obtain to create wondrous works. There is much antique Huon pine furniture in Australia especially in Tasmania and South Australia, testimony to the enduring quality of the timber, and the fact that it attracted skilled artisans to work with it. 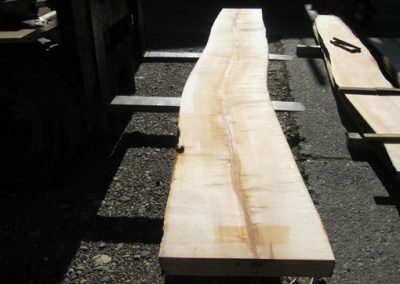 These days, demand for Huon pine boards and slabs by contemporary furniture makers – both professional artisans and enthusiastic amateurs – greatly exceeds supply. Knowing that the piece of furniture you make today will be inherited by your great grandchildren is incentive to be patient in waiting for the timber to be available, and careful in crafting the item.